It’s funny how brands come and go in one’s mind. They’re still there, of course, in reality; they plug away, doing what they do, year in, year out, but our experience of them rarely follows a linear trajectory. Exploring whiskies is done without maps. A cluttered marketplace doesn’t make things any easier. Our modern social media attention span is a fraction of a nano-second, and so we’re easily distracted by the next curious offering, skimming past one meaningless clickbait whisky headline after another. 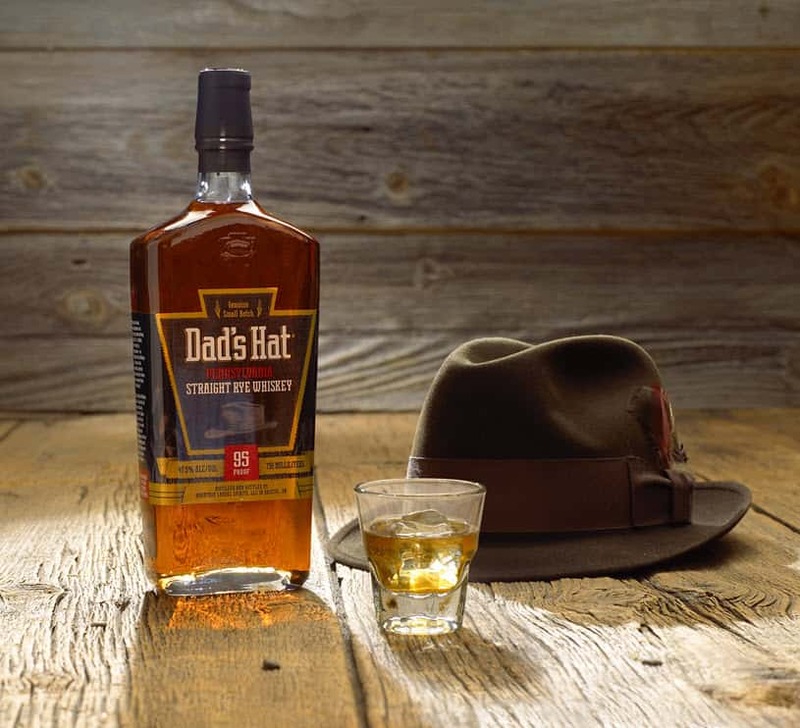 So I’d been meaning to try Dad’s Hat whiskies for years. When I first heard of them, which could have been on the podcast WhiskyCast, it was their vermouth finish rye I was interested in trying. But back then, they didn’t have distribution to the UK and it was very difficult to track down anything to try. And so I completely forgot about them. Time passed, many more whiskies came to my attention, the world became saturated by brands; so it’s easy to do. But they were brought once again to my attention via Andrew who blogs at Andrew’s Share. I met him at the Spirit of Speyside festival at a dinner and we got talking afterwards. 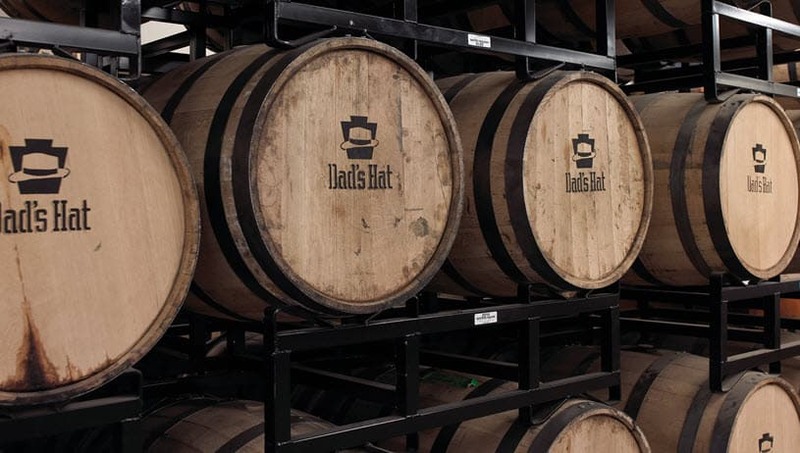 He mentioned that he had been to the Dad’s Hat distillery on his travels to Bucks County, Pennsylvania – he had acquired some bottles, and asked me if I’d like to try some. My answer was a definitive yes. The distillery was founded in 2011, which was probably when I heard about them on WhiskyCast, and their niche operation seeks to produce only rye whiskey, which is something else that only rarely drifts onto my radar. And thanks to Andrew, I have three very interesting rye whiskies to look at today, a couple of which I believe can only be sourced at the distillery. This isn’t much use to you, I realise, but there we go. At least it will give us all an indication of the general quality of spirit. A 3 year old rye whiskey bottled at 47.5% ABV. On the nose: herbal: peppermint and fennel at first, which fades to leave plenty of vanilla, burnt toffee, burnt sugar notes. Redcurrants and blackcurrants, moving into home-made ketchup. When all that fades there’s some nice meaty notes. In the mouth: sticky, sweet and warming: strawberry jam, molasses, muscovado sugar, and again follows the nose perfectly. It is heavy on vanilla, and the wood has had a huge, bright, peppery impact on this. Medium-weight texture, lovely return of the redcurrants, cranberries and balsamic vinegar note. A very flavoursome rye whiskey indeed. This is, believe it or not, a Maple Syrup Barrel-Aged Rye, which is bottled at 45% ABV. On the nose: well, yes it’s sweet, but actually more charming than the straight rye. Subtle notes of figs and raisins, with tiramisu, pine needles, honey and damson jam. In the mouth: very sweet. And very maple-syrupy. But it works nicely. Blackberry jam and vanilla custard. Cinnamon and stem ginger, and all in all rather mellow and approachable. Golden syrup drizzled over sponge cake. Marshmallows, with the ginger and syrup extending on the finish. A 4 year old rye bottled at 50% ABV. On the nose: Much more elegant than the standard straight rye: cranberries, raisins, dried apricots, tinned peaches in syrup. Mint again, along with touches of fennel. In the mouth: lovely silky texture to this, with creme caramel. There’s a nice earthy, tannic bitterness to balance everything out; very sour cherries, touch of lime acidity. Raspberry vinegar, and a heady damson-chocolate quality. Very warming, with chilli and black pepper into the finish. It does share much with the other straight rye, though perhaps less herbal and more fruity, but it’s excellent. Three very good rye whiskies indeed, and it’s impressive spirit for such a young age. Very much recommend investigating. 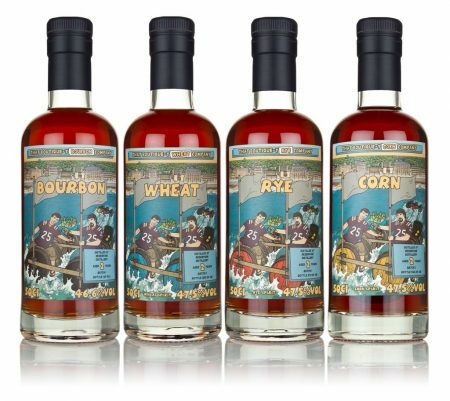 Their whiskies in general cost around £50 in the UK up towards £80, depending on the outlet and what sort of variation, but from this selection I’d say it’s well worth trying anything of their bottles if you’re looking for an interesting American whiskey. Certainly they stand at the pricier end of the scale, even in today’s market, but I think they’re good – and most of all, they show character. Note: Image at the top sourced from Distillery Trail. Now if only Jim McEwan and his Octomore’s were given a spell in the maple syrup tub, we can only dream…!